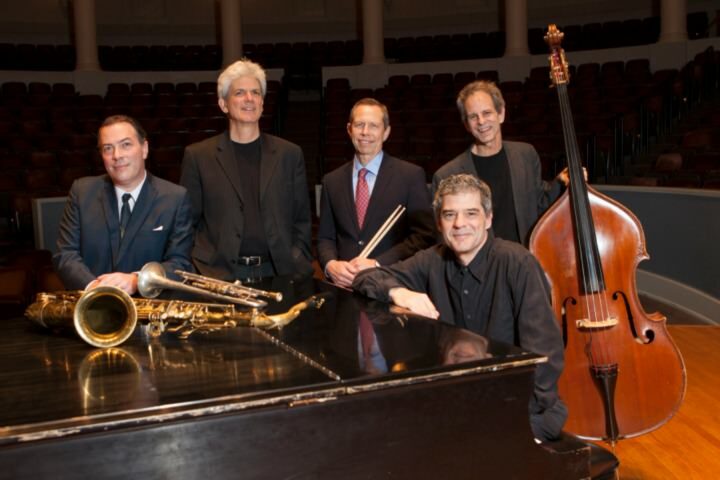 The Free Bridge Quintet is the faculty jazz quintet of the University of Virginia McIntire Department of Music. Founded in 1997, it features Jeff Decker on saxophones, Robert Jospé on the drums, Peter Spaar on bass, John D’earth on trumpet and flugelhorn, and Butch Taylor on piano. The quintet has been a staple of the UVA/Charlottesville jazz scene, and of the greater Central Virginia jazz scene, for two decades. Its members are internationally recognized jazz performers and recording artists. Click any of the images below to view one of the Free Bridge Quintet's performances in Old Cabell Hall.